When u read my post title, what do u think? Why I wrote something unconnected ? What is the relationship between eyes with seat belt? 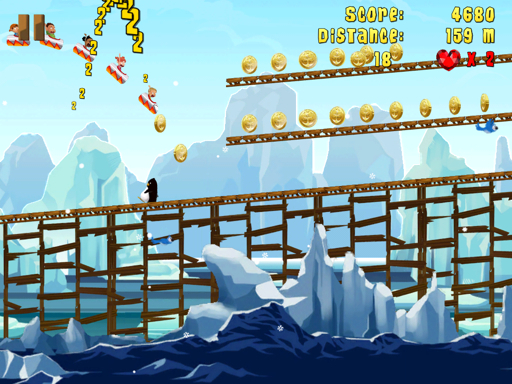 However, today I will share something about one of my favorite iOS game which developed by Chillingo Ltd. Though, this game isn't a new game, but it's okay to be shared. 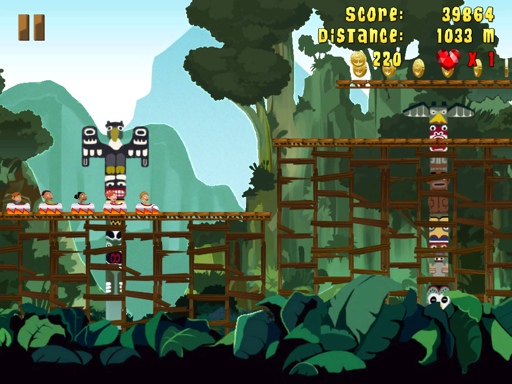 An adventure game with a simple control to play. I've played this game since my iOS is 4.3.4, after I upgraded my iOS to iOS 5.1 , I just wait till this game become free, n finally it's free now. 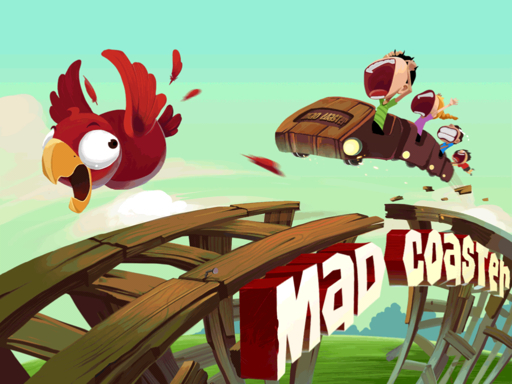 Madcoaster is about a coaster with some passengers inside it. Your job is keep the coaster safe and go to the longest distance as far as u can. The most things that make u failed is the coaster tracks. There are many kinds of tracks from flat to steep, up to down, entering the hoop, etc. 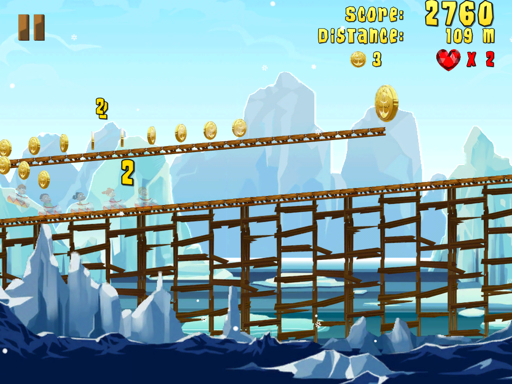 Hit the small, rare, big birds or animals to gain higher score. This game also integrated with Game Center, so u can see your score on leader board n unlock some achievement too. There are 3 standard power up from this game. If u are not be careful, u will game over at that time. There are different environment for play. It randomly use when u play the game. 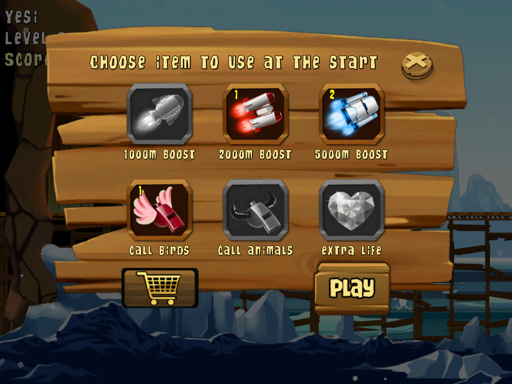 Completed the objectives to collects multiple score. Oh, almost forgot... Keep your eyes on the game or you will be Game Over in a short time. 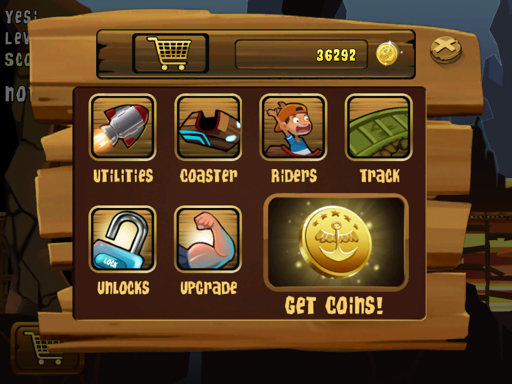 Player can buys other characters, tracks, utilities, coaster, or upgrade the power up with coins. Collected coins by playing the game or buy in-app purchase. 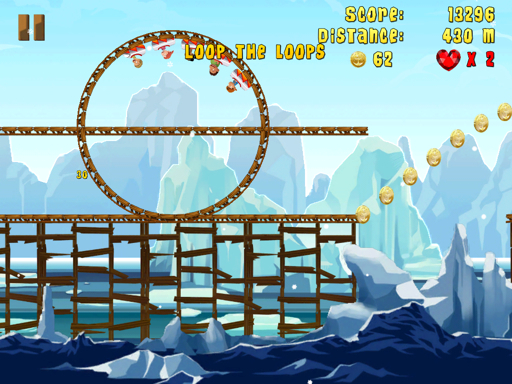 It's simple, just tap the screen to jump, slide up to go to the higher track, or slide down to go to the lower track, tap and hold in jet packs mode. So, are u eager to play?